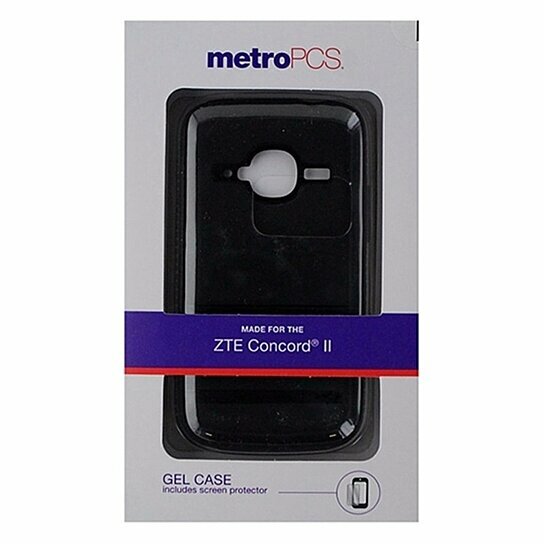 MetroPCS products, Flexible Gel Case for ZTE Concord 2. Plain black finish with textured edges for a secure grip. Screen protector included.